Belinda Sudano is a registered psychologist with the Australia Health Practitioners Regulation Agency. She has experience working in schools, hospitals and private psychology clinics. Belinda has worked with adolescents and adults presenting with a range of mental health and wellbeing concerns. Her areas of interest include grief and loss, adjustments and transitions, stress and anxiety, depression, issues arising from infertility, and self-development. She also has a strong interest in Positive Psychology which is based on the science of strengths, well-being and flourishing. Belinda recognises it can be difficult to take the first step in seeking support and draws on her warm, collaborative and authentic style, to help make that first step a bit less daunting. Belinda has a strong love of learning, and high commitment to professional development and has taken on additional studies since completing her postgraduate qualification. 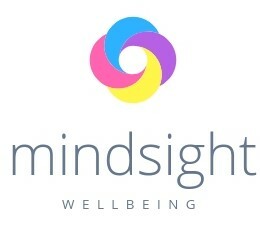 She draws on an eclectic range of evidence based psychological treatments including Cognitive Behavioural Therapy, Acceptance and Commitment Therapy, Mindfulness Based Practices and Positive Psychology. She is also experienced in developing and delivering training to teachers and staff on a range of psychological and wellbeing issues.